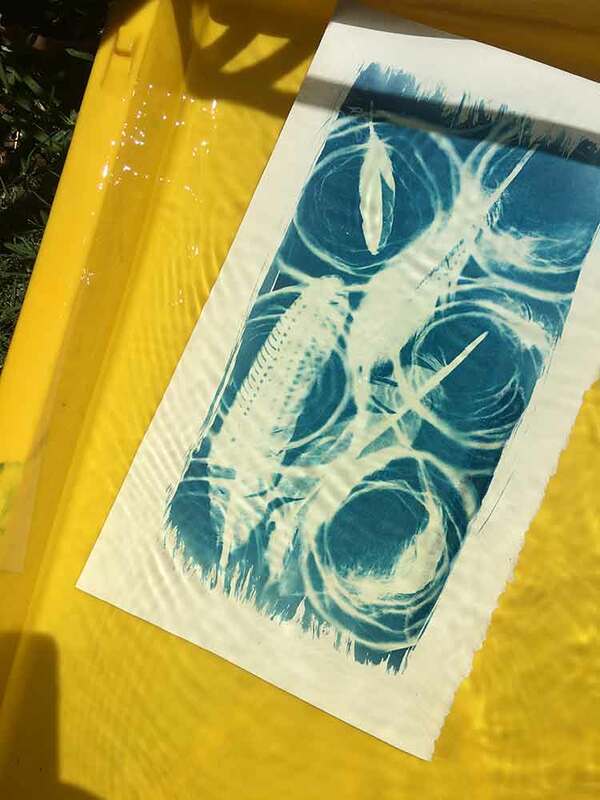 Printmaking with cyanotype (aka sun prints) is an exciting photographic printing process. Sometimes results are predicable, sometimes they are not. 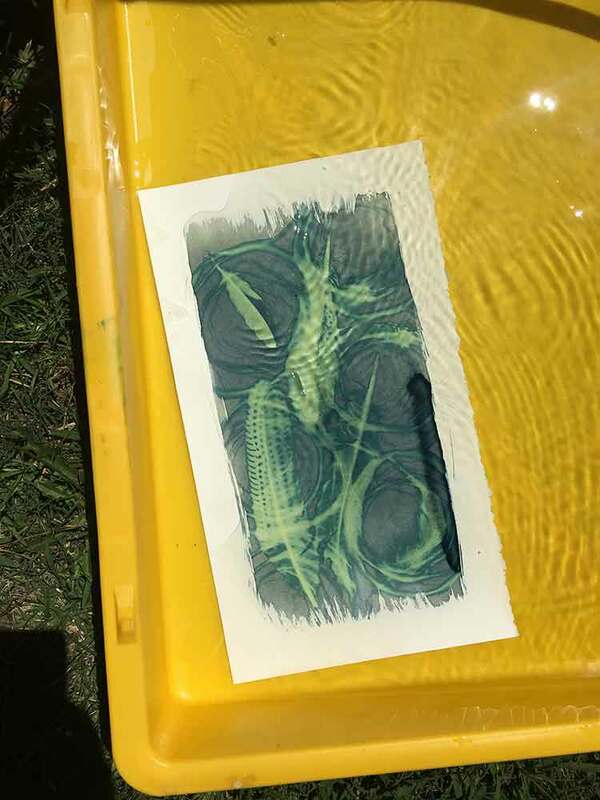 We will work with the sun as our UV light source, and the sun and weather at the time will determine the intensity and sort of cyanotype prints we produce. 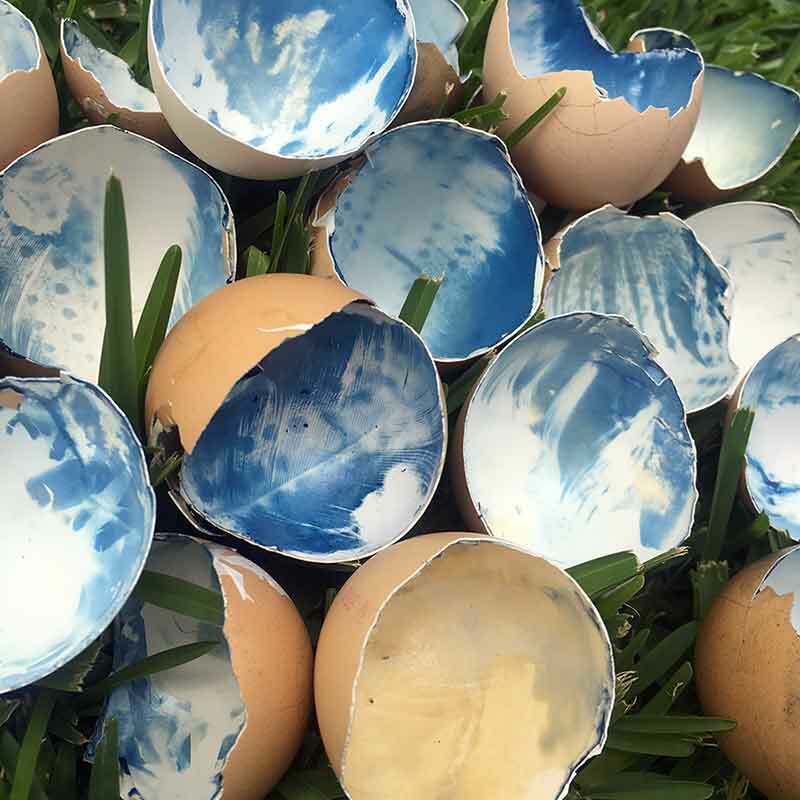 We’ll also look at toning and staining cyanotypes, and how the process can be adapted to other surfaces like fabric and eggshells. 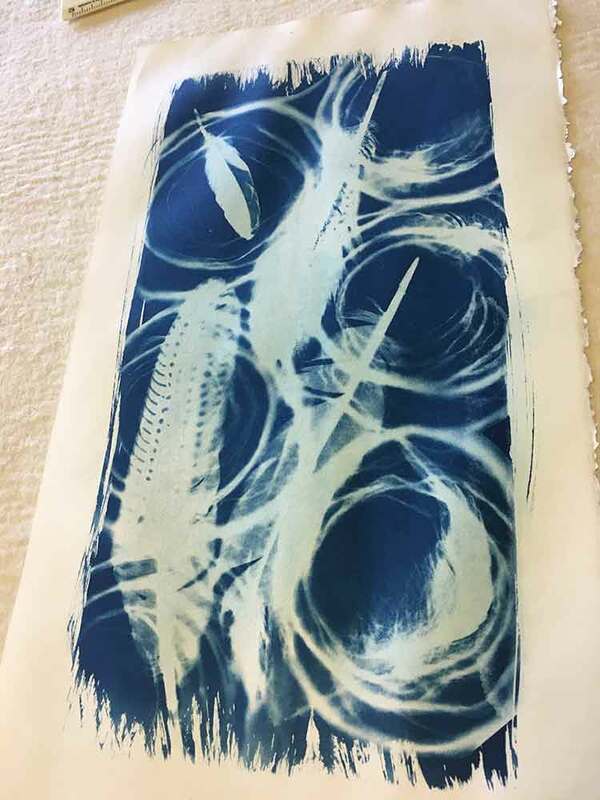 Whether you are new to cyanotype or printmaking, this is a great opportunity to work with a simple and exciting printmaking medium. 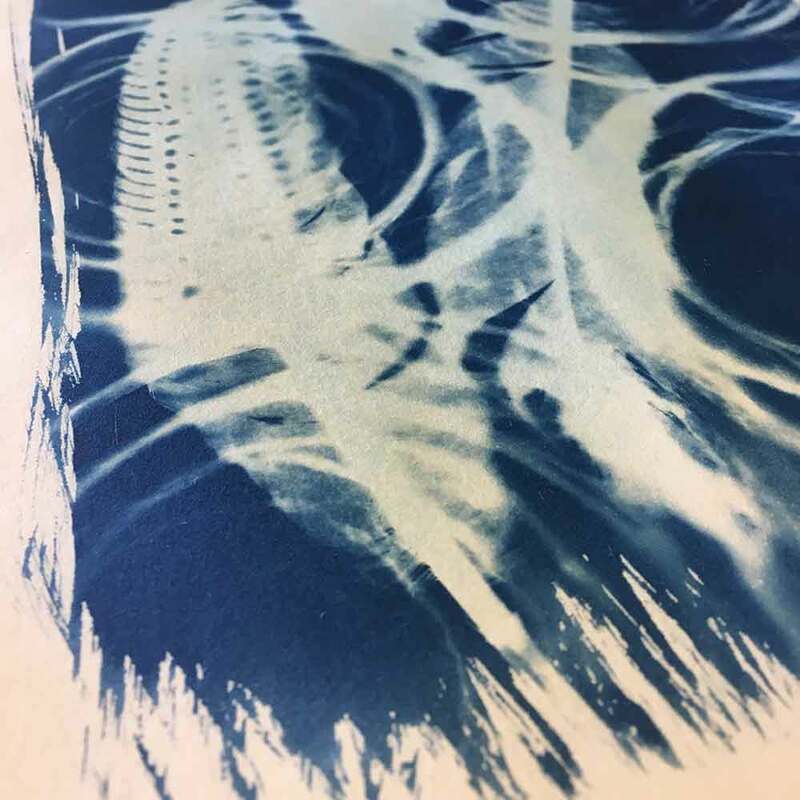 Have a look at my Cyanotype Pinterest board below to get a feel for how diverse this medium can be. 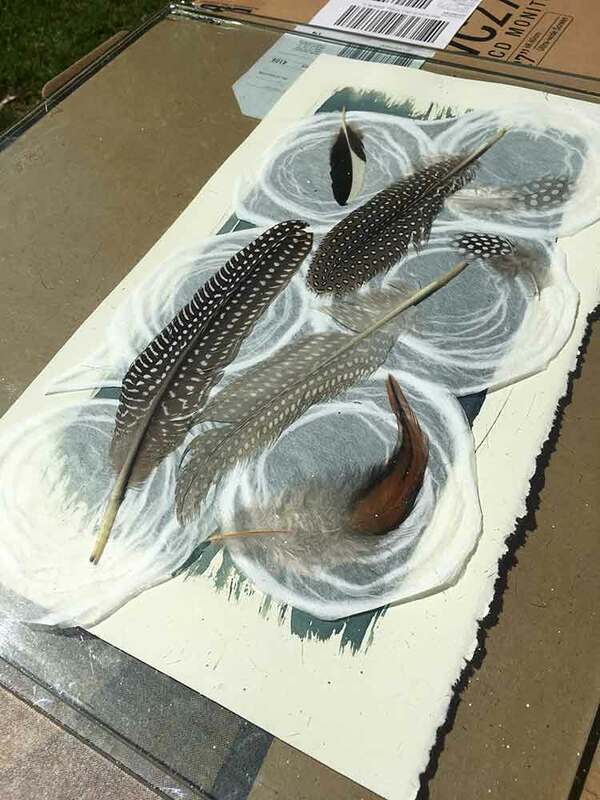 If you have never done any form of printmaking before, or think you don’t have a creative bone in your body, then this is a fun and easy way to loosen up and to re-connect with your creative side. 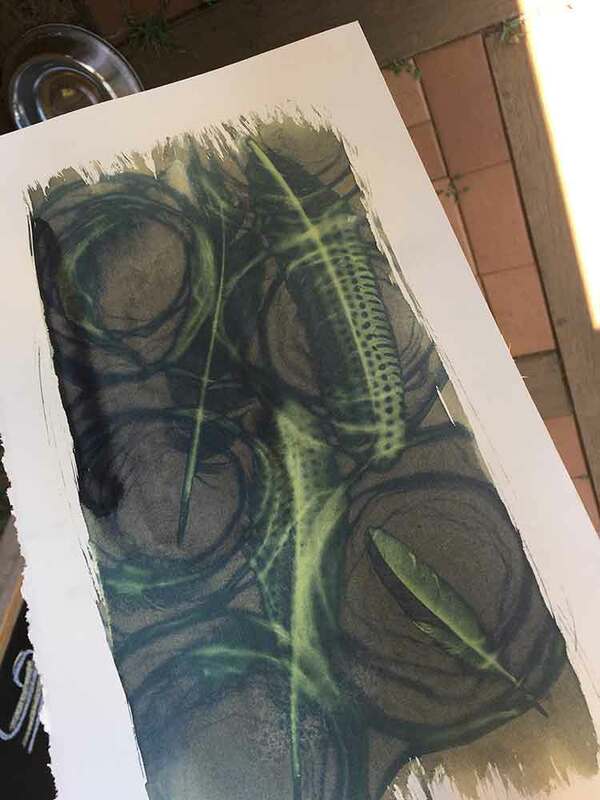 By the time you finish this workshop you will be equipped with the skills to confidently continue to print with this process at home. mixing the cyanotype chemicals and coating our paper, ready for exposure. I’ll have some pre-coated paper ready to go too. You will be given handouts with material recommendations so you can continue this practice at home, including where to buy the appropriate materials and chemicals. If you have particular images and image elements that you want to work with, please bring them along. This could include photo negatives and/or images printed onto transparent film. Image making objects. We will use found objects, and I will have many objects and stencils for you to work with, but if you anything in particular that you want to work with, please bring them along. ​Participants are advised to wear closed in shoes, and suitable clothing or apron that you do not mind getting dirty or stained. Do you remember the old blueprints? 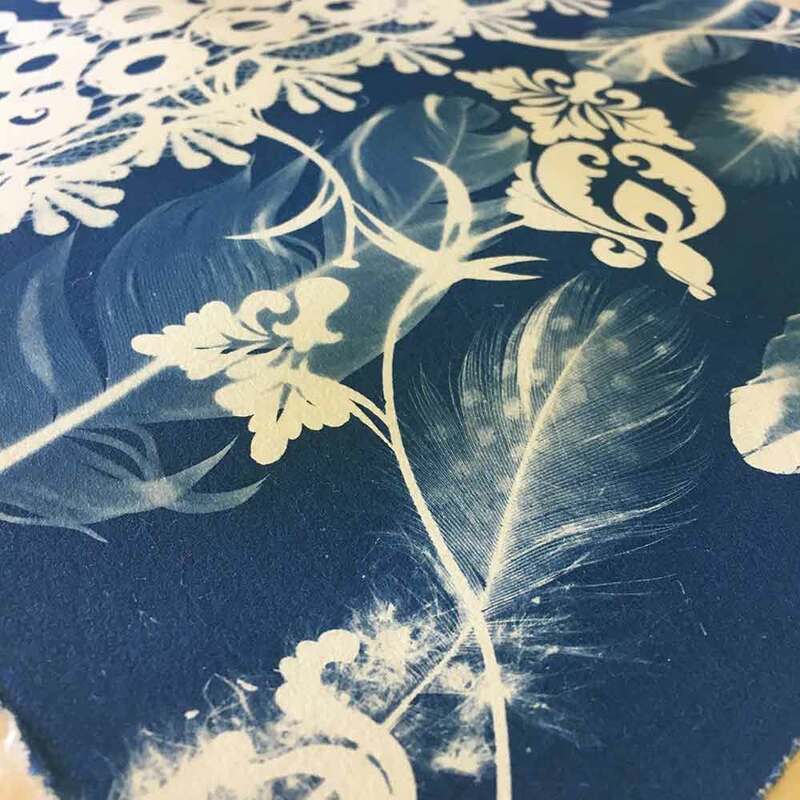 Engineers, architects and draftsman used a photographic printing process that produced cyan-blue copies of drawings and plans, generally from an original image printed onto transparent film. That process was an adaptation of the original invention of the process by Sir John Herschel in 1842. 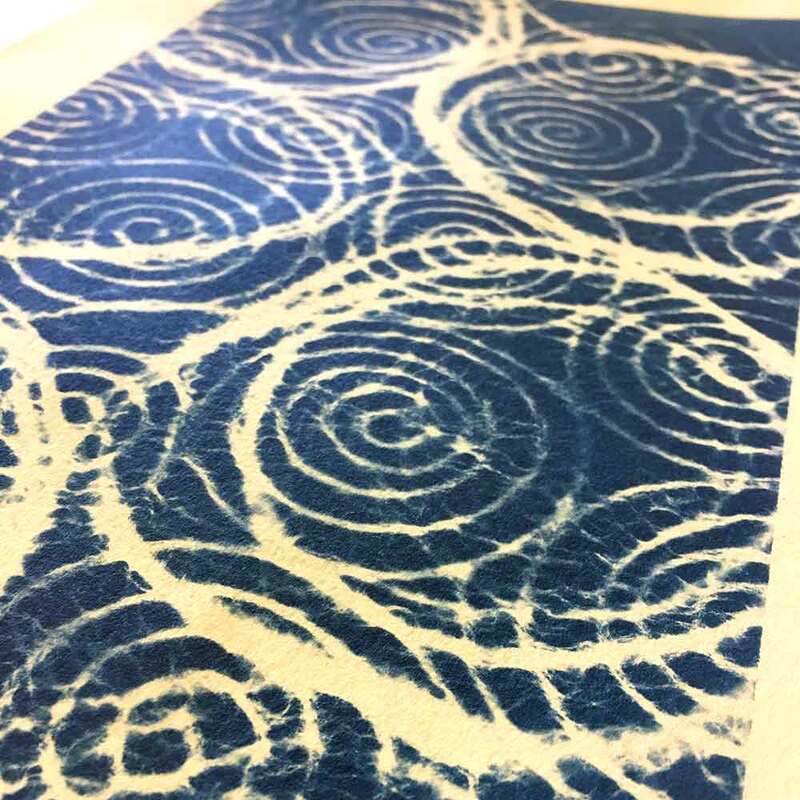 Printmaking with cyanotype puts a creative edge to the old blueprint concept. 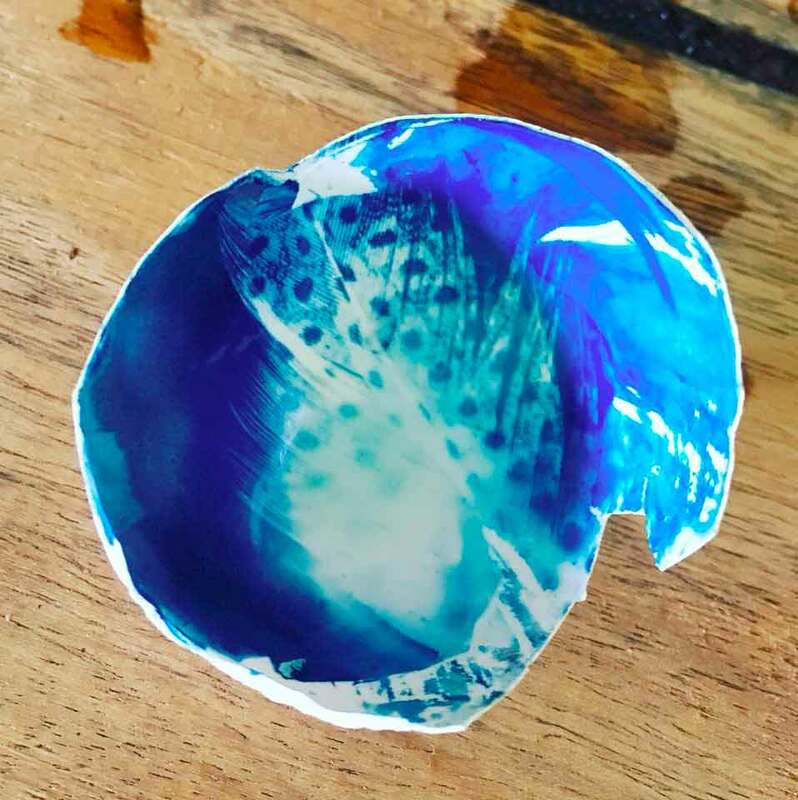 To achieve the chemical reaction and cyan-blue colouring, two chemicals are mixed (ferric ammonium citrate and potassium ferricyanide), then exposed to UV light. Once exposed, the exposed material is washed in water to stop the chemical reaction. 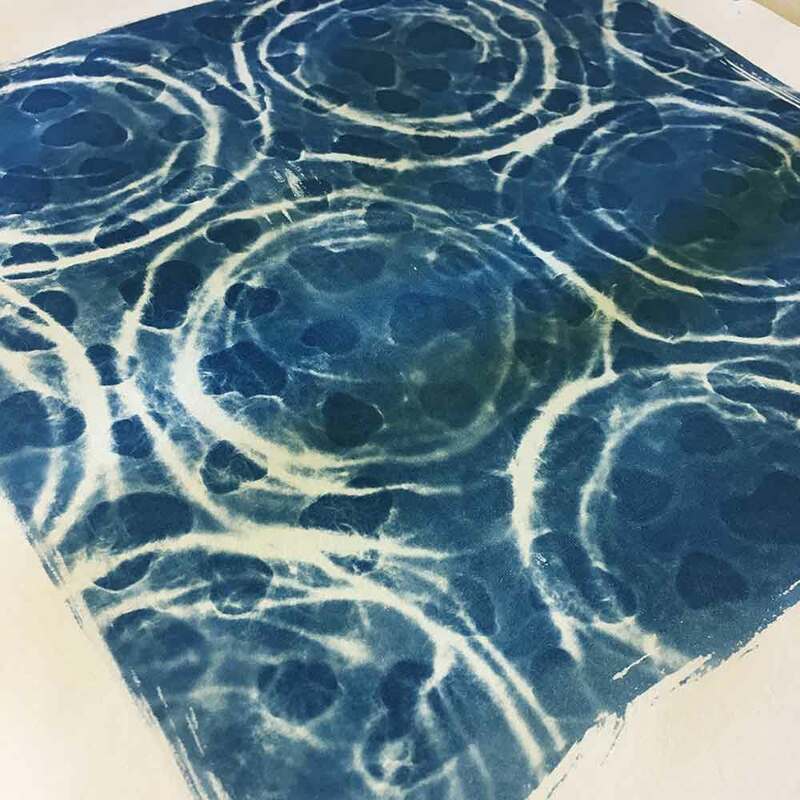 In this workshop we will explore (sun)printing cyanotypes on paper, but the process can be adapted to fabric, eggshells, and just about any surface that will hold and absorb the chemical.